As its name suggests, 99 Cents Only Stores is a dollar store based in the US that offers consumable products and household items for less than one dollar. Give a buck, and get a penny back. David Gold of California struck gold in 1965 when he came up with his very first 99 Cents Only Stores. The company grew considerably until it hit a snag. Current owner Ares Management bought the company in October 2011. As of January 2016, the dollar empire has 391 retail stores, with 283 of those stores scattered across California. It has an estimated number of 17000 employees. The company also runs Bargain Wholesale. Company benefits include medical, dental and vision plans, life and disability insurances, flexible savings account, 401k retirement plan and much more. A generous 10% company discount is also offered. The employees love the flexibility of the schedule the company allows them to have. Work is independent, and employees work at their own pace. Getting paid weekly is also a big thumbs up. How old do you have to be to work at 99 Cents Only Stores? The minimum age of employment for most US states is 16 or 18. However, due to the nature of the company, some states allow employees as low as 14 provided they have work permits. Cashier: An entry-level position that involves a great deal of customer interaction. Primary duty is operating a computerized POS terminal. The position has minimal requirements, and is perfect for newbie job seekers. Sales Associate: Another entry-level position that includes a lot of customer interaction. They tend to customer inquiries and offer product recommendations. Good communication skills, in addition to a bright and cheerful personality, are required. Assistant Store Manager: Just as the name implies, the assistant store manager assists the store manager in responsibility of the store. Flexibility is needed as the duties range widely from monitoring inventory to responding to customer needs and concerns. Store Supply and Fixtures Clerk: The duties and responsibilities include receiving and tracking of store fixtures, and accurately following pick sheet and selecting products within the warehouse according to slot location. 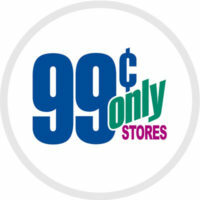 With over 40 stores opening each year, 99 Cents Only Stores is always looking for fresh talent to add to their roster. Other common positions to fill are manager, truck driver, stocker, risk manager, and much more. Applicants may pick up application papers available in stores. Personally visiting stores are somehow beneficial to seekers as it creates a better first impression than online applicants. The company has its own careers page on its website. The link can be located below, together with the direct link to the application page. Fill up the application paper accurately. Use up-to-date information using legible handwriting. For first time jobseekers, include every related skill or accomplishment to position desired. Upon completion, review the application for any spelling or grammar errors. In your resume, quickly grab the hirer’s attention by bolstering your first few lines with relevant details. Let your future employer feel their need of you with a compelling summary statement. Customize, don’t generalize. A majority of interviews consists of a face-to-face interaction with the store manager. Let the interviewer know how reliable you are. Show up on time, and in decent attire. Prepare to answer the most common interview questions. Meeting sales goals through effective marketing is a big part of employees’ lives. The floor is always crawling with customer interaction. A life in a company store is a demanding, fast-paced, but a fun one. In 2008, the company raised the price of its products from 99 cents to 99.99 cents. It created a stir among some customers who felt that they were being duped. Two action-class lawsuits followed. The company uses the number 9 to a wide extent. It endorses themselves as “Open 9 days a week.” They also celebrate the 99th birthday of popular people. In February 2007, a diptych of a company-owned store was sold for 3 million dollars. Last year, the company donated 99 reusable bags full of food to 9 charitable institutions in Los Angeles for the holiday. The company also awarded a 99 year old woman a shopping spree.